☆2 containers (this time, I bought two 7.5×4.5 size containers at Daiso). 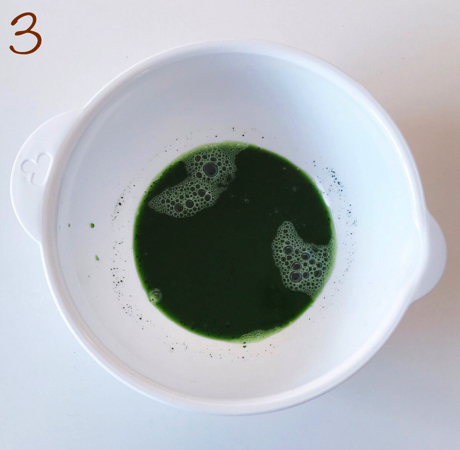 3: Mix the maccha and granulated sugar (2 table spoons) and add hot water (100cc). Mix these ingredients together. Boil water (50cc). 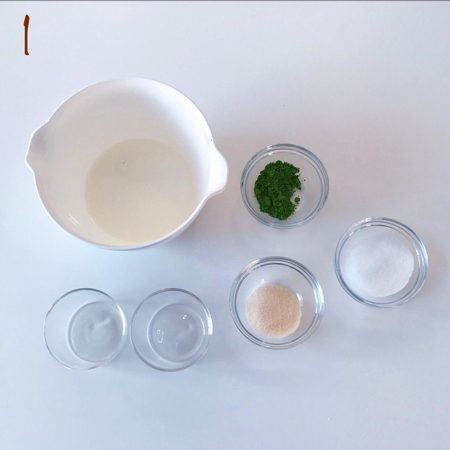 Then, put the soaked gelatin inside the container and mix it well. 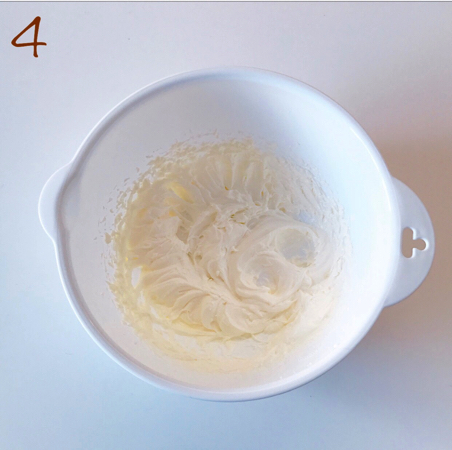 4: Whip the cream and add the granulated sugar in small batches. 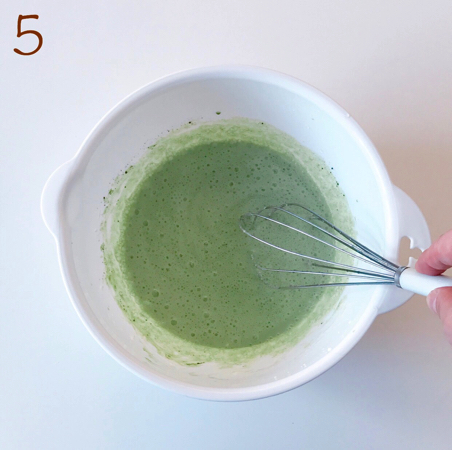 Mix it until the cream becomes fairly hard. 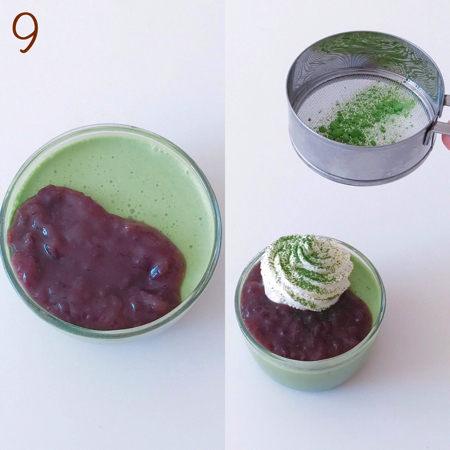 5: Add the maccha liquid which you made in Step 3 little by little to the whipped cream you made in Step 4 and mix it well. 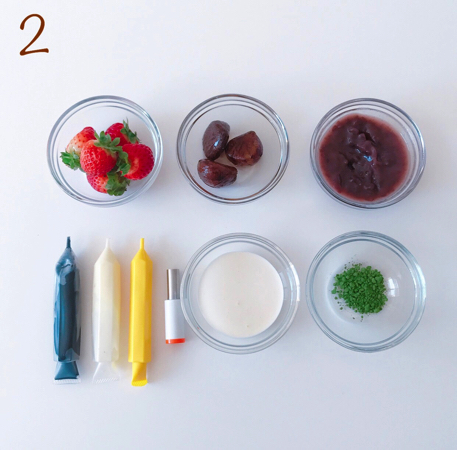 Also, add the gelatin you made in Step 3 and mix it together well. Please note that you must add the gelatin little by little since the gelatin and the liquid will separate if you add the gelatin all at once. 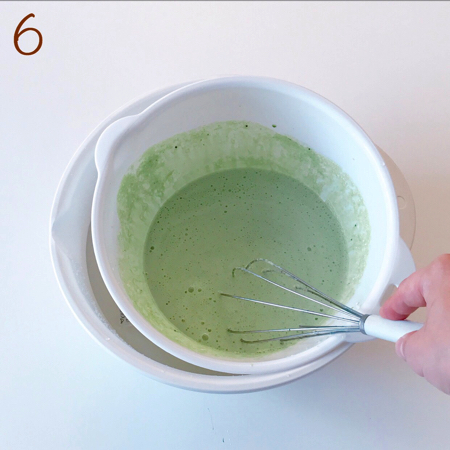 6: Set the bowl of Step 5 into a larger bowl with ice inside and mix it until it gets slurry. 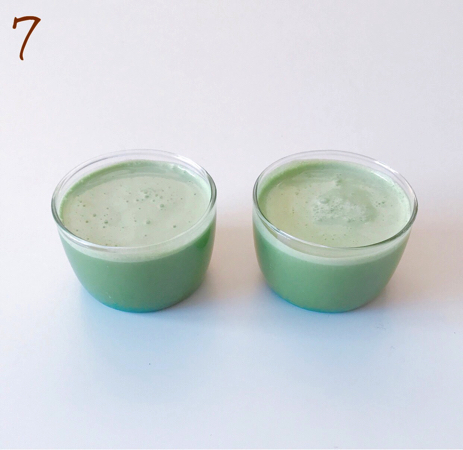 7: Pour the mixture into the cups you have prepared and leave it for 2 hours or for one night so that it becomes hard. 8: Cut the boiled marron in half, vertically. The cut surface will become the face. Using the other half of the marron, cut out two circles to use as the ears. Using a fried pasta attach the ears to the head. 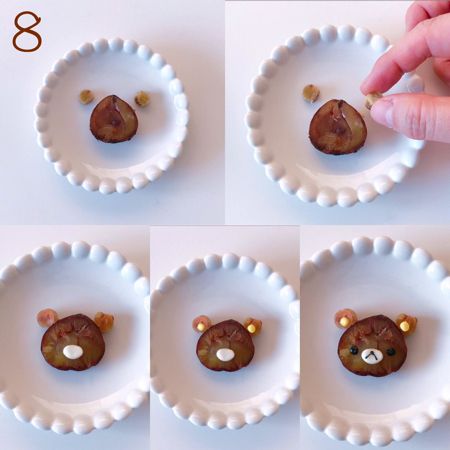 Use the chocolate pen to draw the white part of the mouth, yellow part of the ears, eyes and nose. It is recommended that you use the pointed side of a toothpick to draw the mouth. 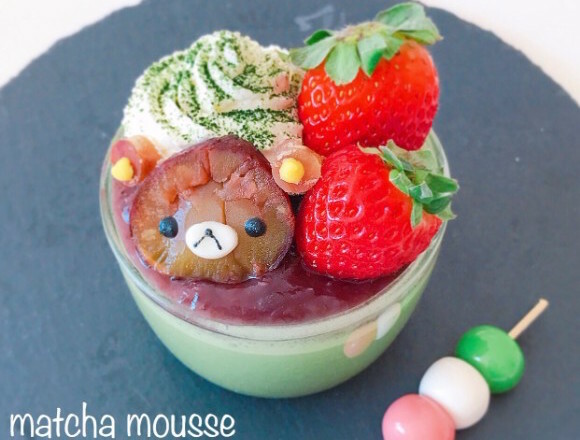 Put the bean paste on the front side, squeeze the cream out behind the bean paste and sprinkle with maccha. 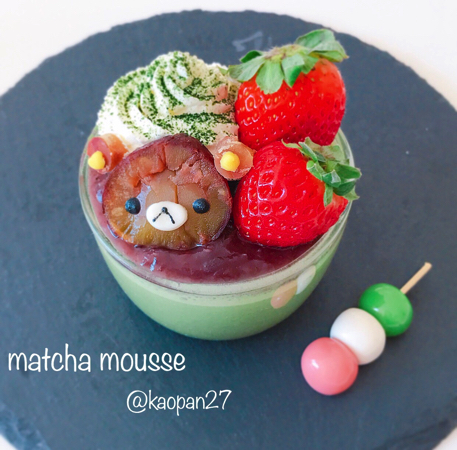 Place the strawberries to the right and prop up the Rilakkuma (marron) as shown in the photo.